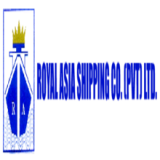 Royal Asia Shipping Co. [Pvt] Ltd., was established in the year 2004. The company is providing Shipping, Air Cargo, Freight Forwarding, chartering warehousing and cargo Clearing Services to the utmost satisfaction of its Customers under highly skilled & competent professionals. We see transport itself as only a part of the broad range of spectrum including supply chain management solution, constant advancement, staff training and research.Growing numbers of industrial and commercial organizations are improving towards global competitiveness by implementing supply chain management strategies and delegating complex logistics to third parties. Such outsourcing facilities just-in-time deliveries, and with it, the integration of suppliers and service providers in the company owned value-creation process.